Manufacturer of 4/4 & 8/4 hardwood green or kiln dried lumber! ARE SELECTED FOR OVERSEAS CUSTOMERS! quality Appalachian hardwood veneer and saw logs since 1991. Our focus is on providing the very best logs possible to Pacific Rim, European, and Domestic Customers. proper business ethic remains the same. Our goal remains: To make and maintain strong customer relationships. AFTER HOURS FAX: 865-671-4413	 TANER TIMBER CO., INC. 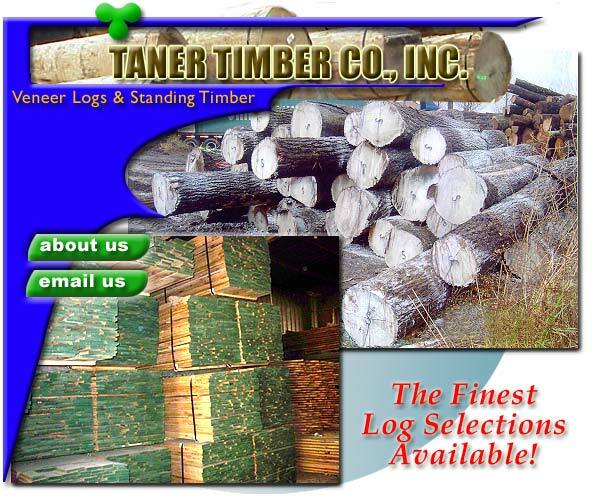 Copyright © 2000-2008 Taner Timber, Inc. Unauthorized Use is Prohibited.